Clark Gregg as Agent Coulson. Although Coulson’s death was a big deal in The Avengers, his resurrection has had no impact whatsoever on the half-dozen movies that came after it. And while Marvel still has an Inhumans movie scheduled for released in July 2019, there’s no guarantee it will feature any of the Inhumans we’ve gotten to know in Agents of S.H.I.E.L.D. This isn’t necessarily a bad thing. The Marvel Cinematic Universe is a blast, but it’s a lot to keep up with — and it will become even larger and more complicated over the next few years. Meanwhile, TV shows like Netflix’s Daredevil and Jessica Jones (and even Agents of S.H.I.E.L.D.’s sister show, Agent Carter) have shown the virtues of self-contained stories within the greater Marvel framework. Sure, it’s a little weird that Iron Man, Captain America, et al. are so disinterested in these new people with strange and terrifying new superpowers, but if S.H.I.E.L.D. is around to take care of them, maybe that’s enough. All that said: If Agents of S.H.I.E.L.D. is going to tell superhero-style stories, they need to be more compelling than this week’s “Bouncing Back,” which is little more than a straightforward (and bland) excuse to show off some straightforward (and bland) new Inhumans. At a time when this show should be actively courting viewers who drifted away, this was a curiously flat episode after a three-month hiatus. On the bright side, it offers several elements that could easily be built upon in future installments. Take, for example, the show’s ever-expanding band of Inhumans. Near the beginning of “Bouncing Back,” we meet the first of several new characters: Elena “Yo-Yo” Rodriguez (Natalia Cordova-Buckley), a young Colombian woman with a distinctly Inhuman set of abilities. Yo-Yo has super-speed, but it comes with a twist — by the time her heart finishes a beat, she snaps right back to her original location. It’s a talent that proves exceedingly useful during a robbery, as Yo-Yo and her cohorts steal a supply of automatic weapons, then use her powers to disarm anyone who tries to stop them. It’s exactly the sort of crime S.H.I.E.L.D. has been tasked to handle, so Daisy and her crew travel to Bogota to investigate. Although Yo-Yo manages to get the drop on Mack and take him hostage, it isn’t long before Daisy crashes the party, rescues Mack and brings Yo-Yo back to an Inhuman containment pod. The twist, our heroes quickly learn, is that Yo-Yo isn’t bad at all; if anything, she’s a budding superhero. Yo-Yo only stole the guns to prevent a corrupt police force from using them. While S.H.I.E.L.D. was busy with her, the actual bad guys — a Hydra contingent, complete with their own Inhuman who can make people collapse with a single glare — manage to kidnap Bobbi and Hunter. Turns out, that’s not really a problem. The downside of a TV show about exceptionally talented super-spies is that it’s hard to believe anyone is ever in actual danger. When Hunter and Bobbi wake up, they don’t seem particularly concerned about their situation. And when Daisy and Yo-Yo storm in to rescue them — combining Daisy’s quake powers and Yo-Yo’s speed powers in a ridiculously effective series of maneuvers — it’s like watching someone play a video game with every cheat code turned on. Though Hydra manages to recover their Inhuman eye-guy by the end of the episode, they don’t even attempt to retaliate, and all our heroes make it out totally unscathed — including Yo-Yo, another invaluable S.H.I.E.L.D. ally. It’s enough to make you wonder why S.H.I.E.L.D. would bother sending non-Inhumans into the field at all, since all three of the episode’s agents turned hostages lack superpowers. This problem hints at the ongoing tension of the series, which seems to be pulling in opposite directions. 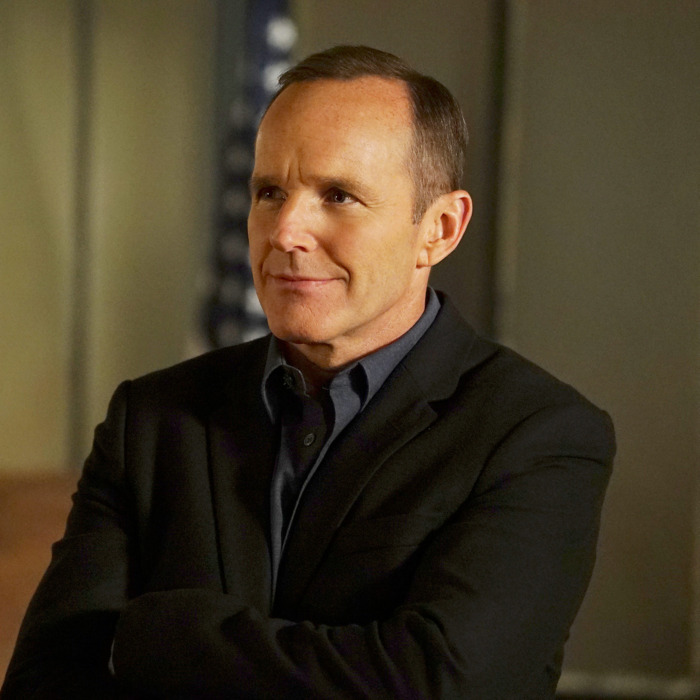 One version of Agents of S.H.I.E.L.D., which centers on spy characters like Coulson, May, Bobbi, and Hunter, hews to the tagline originally used to promote the series: Not all heroes are super. The other version, which feels like a sop to viewers who wanted Agents of S.H.I.E.L.D. to feel more like Marvel’s big-screen blockbusters, follows Daisy and her Secret Warriors as they use their superpowers to clean up messes. That same dichotomy also extends to the show’s two remaining villains. On the human side, we have Gideon Malick, a slimy businessman whose tendrils extend deep into the global economy; on the superpowered, we have Hive, an alien creature occupying Ward’s body as it acclimates to Earth. (More on Hive in the bulletpoints below.) Both represent legitimate threats to S.H.I.E.L.D. — and to the world as a whole — but both Malick and Hive think they have the upper hand, and only one can be right. The episode opens with a brief flash-forward teaser to “three months from now,” as a spaceship floats above a planet that looks like Earth. Droplets of blood float in the zero gravity — and so does a cross that looks like the one worn by Yo-Yo. I have no idea how or why the show plans to take us there. Any theories? They don’t come out and say it, but according to showrunners Jed Whedon and Maurissa Tancharoen, the creature occupying Ward’s body is better known to Marvel fans as Hive. In the comics, Hive is a Hydra-engineered parasite comprised of large, wormlike creatures that absorb a human host. The show’s Hive has a totally different origin story, and is significantly less horrific to look at, but if you squint you can still see the DNA of the comic-book version. Another character whose origins can be traced to the comics: Yo-Yo Rodriguez, a.k.a. Slingshot, who first appeared in a 2008 issue of Mighty Avengers. Like her TV counterpart, the comics’ Yo-Yo was recruited by Daisy Johnson to join the Secret Warriors. Think she’ll eventually get the cyborg arms? Coulson spends most of the episode gunning for Gideon Malick, and while he manages to get Malick on the phone, he can barely strike a glancing blow. On the whole, Coulson’s bloodlust continues to strike me as both reckless and non-heroic. I hope the show introduces some genuine consequences for his actions before the season ends. I was a big fan of how Agents of S.H.I.E.L.D. played out Fitz and Simmons’s relationship over the first half of the season, but this week’s draggy subplot about Fitz awkwardly avoiding Simmons in the lab felt like a step backward. It was probably necessary to clear the air after Will’s death, and Simmons’s insistence on starting over is a good sign for the characters’ future — but please, no more mopey Fitz. Next week: Coulson and General Talbot (recurring guest star Adrian Pasdar) team up to find an unlikely traitor in their midst.